Classic Liming wax is particularly effective on Oak and other open grained woods, where it can cling and lie deep in the open pores of the grain, and then shadow through a wax clear coat. Apply directly onto wood, working the wax well into the grain. Allow to go tacky then buff with a soft cloth to achieve a gloss finish. 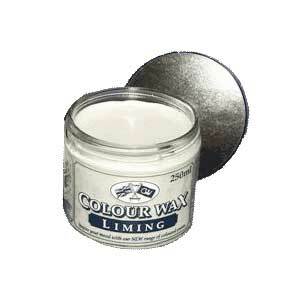 Two hundred years ago this liming method was used to lighten the dark wood panels in various mansions of the day. Liming wax is the predecessor of the “pickling method” used today. Liming produces a distinctive effect, which is traditionally associated with oak furniture. 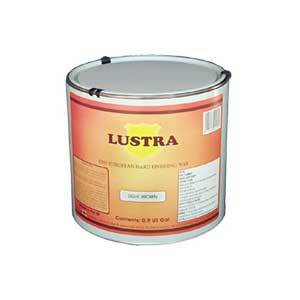 The finish is created by filling deep pours in open grain timber with the liming wax. Even when dry, the white liming wax contrasts with the darker wood, emphasizing the grain pattern. 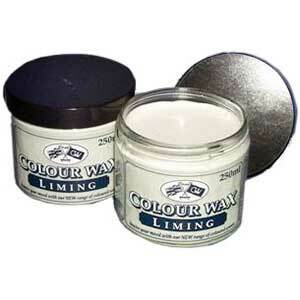 Liming wax can be applied direct to bare wood and onto sealed surfaces. To prepare an item of furniture for liming, sand the wood smooth and remove any traces of grease or dirt by wiping the surface with a cloth dipped in white spirits (mineral spirits/paint thinner). Then, and usually, most woods and substrates will benefit from opening the grain with a wire brush or coarse paper. Using a clean wire brush, or coarse paper, scrub and travel on the wood or substrate in the direction of the grain, to clean out and to open the pores. Be careful not to be too aggressive. Check the progress quite regularly by glancing across the wood into the light, ensuring that there is a fairly even distribution of open pores. If required, apply wood dye and seal the surface with a coat of thin transparent shellac. Apply sparingly with a cotton cloth or pad, rubbing well into the grain, rubbing across the grain, forcing the liming wax into the open grain and pores and removing any excess. Dip pad into the liming wax and then rub into the grain, with circular overlapping strokes, until the surface is evenly covered. Again wipe across the grain with a clean pad, leaving the wax in the pores. This process is to ensure the liming is worked into the open pores and grain. After about ten minutes, remove surplus wax from the surface by gently burnishing along the grain with a dry cotton cloth. 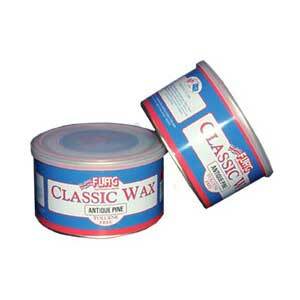 The next day, apply an overcoat of clear Classic Wax for a more durable finish.